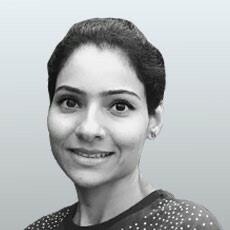 Huma Kathiwala is a Principal Physiotherapist at the Singapore Sports Medicine Center. Having attained her Master of Manual Therapy from the University of Western Australia, she has worked with the Singapore Sailing, Swimming , Silat, Athletics, Shooting , Bowling teams and was an integral part of Singapore Sports Institute & TEAM Singapore from 2006 – 2013. Prior to this, she was a Consultant Physiotherapist to the Indian Women’s Cricket Team, The All India Lawn Tennis Association, The Maharashtra State Karate-Do Federation, and the Air India Women’s Hockey Team. Huma emphasizes on Injury Prevention and couples this with holistic evidence-based approach towards exercise and Manual therapy.